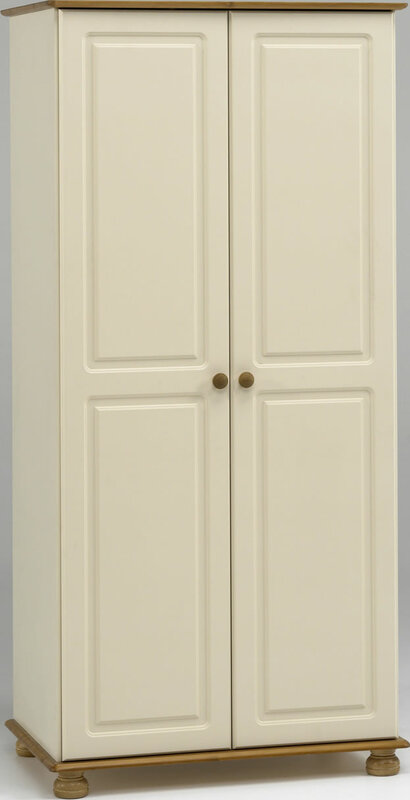 The Steens Richmond cream and pine 2 door wardrobe features a full width hanging rail and large overhead storage shelf. 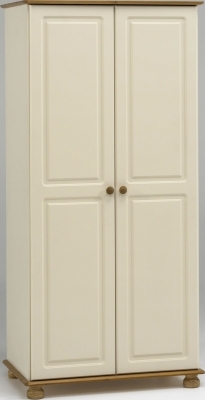 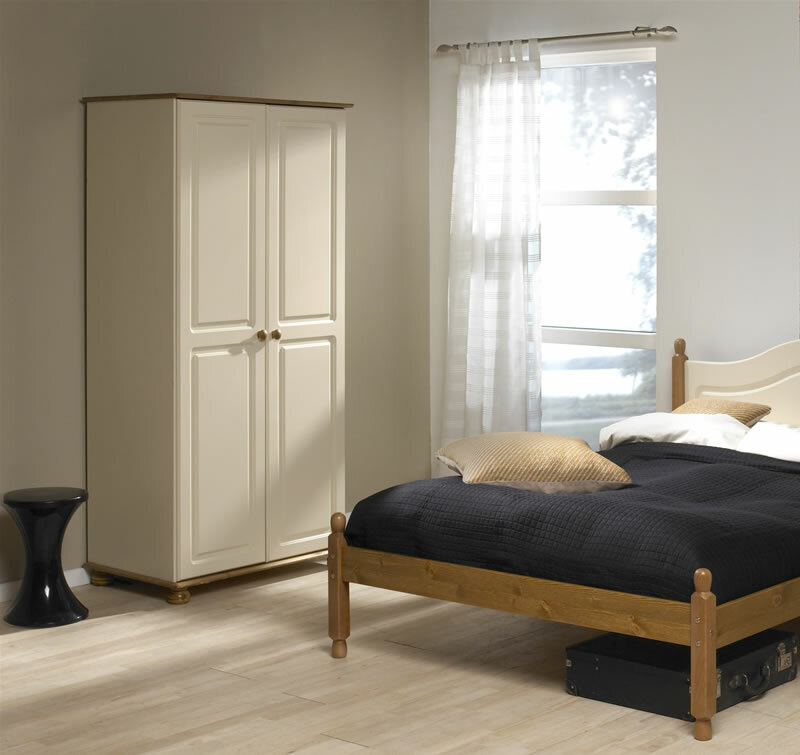 Made from good quality solid pine with MDF doors and wardrobe sides in a cream finish. 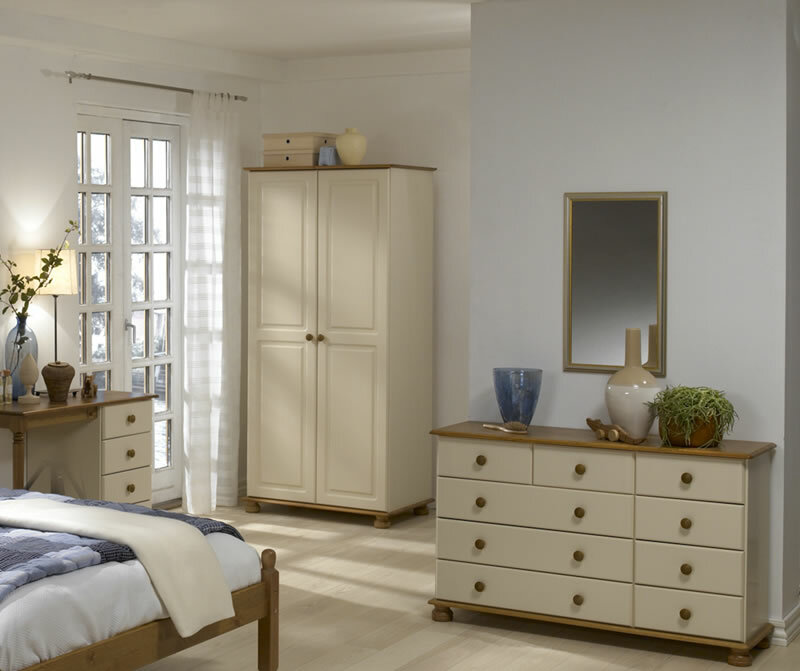 Make the most of the Richmond 2 door wardrobe and your bedroom floor space by adding an optional 2 door matching top box for extra storage.